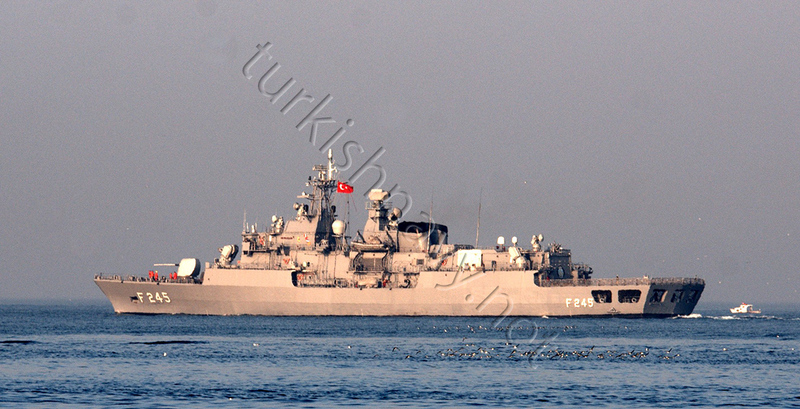 TCG Oruçreis with her new Smart-S Mk2 radar and VLS for ESSM missiles. She will undergo a mid-life modernisation to bring her combat management systems up to the same level with her new sensors and weapons. Click here for a pre modernisation photo. Turkish Navy signed a contract with Aselsan-Havelsan Joint Venture for mid-life upgrade on Barbaros class frigates. 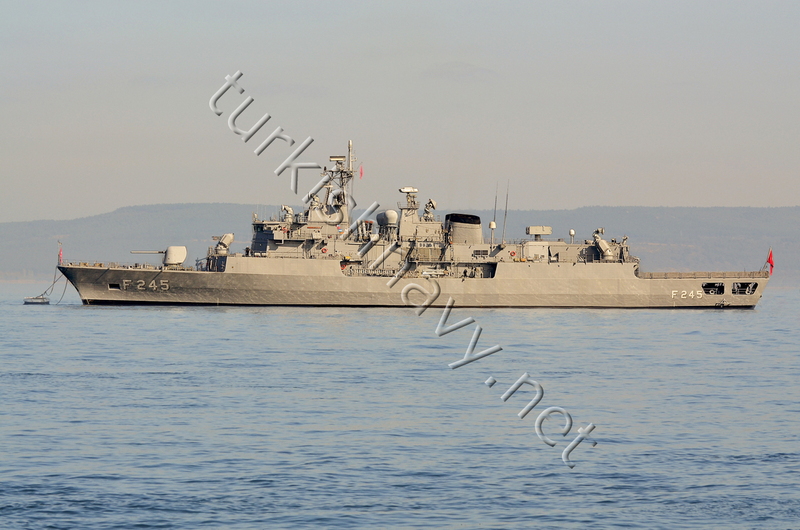 The scope of the contract is to replace the legacy combat management system on board of the 4 MEKO 200 Track IIA/B class frigates, commissioned between 1997 and 2000 to Turkish Navy. These frigates have TACTICOS combat management system built by Dutch company Signaal. (Now Thales). The new Barbaros Combat Management System (BI-SYS), will be a derivate of the existing GENESIS CMS made locally and used on Ada (Milgem) class corvettes and Gabya (Perry) class frigates. The joint venture is formed between the defence electronic company Aselsan and defense software company Havelsan The Joint Venture, will carry out development of all the hardware and software needed to integrate weapons and sensors on board with the BI-SYS. This phase will be followed by land and sea test before final integration on board of the ships. Furthermore, a fire control system to control the Mk45 127mm gun will be manufactured with the knowledge gained from a similar FC system developed locally for the 76mm guns. The delivery of the first ship is planned in November 2020. THE TURKISH NAVY ENTER IN ONE MODERNIZATION PROGRAM TO MODERNIZE HER DESTROYERS. Hi! Will you please update your list “Foreign Warship On Bosphorus in 2017”. Is it seriously Russian Navy has no pass through Stairs from June 24? Hi, I have updated the list today as you can see. But the transit traffic of foreign navies was low in the last few weeks. It has changed this weekend however. Yes, Thanks, again. I’m interested in Russian traffic most of all. NATO’s and other countries ships are in the second place, but interesting too. Thank you for your blog, I made several posts with data from it. Russian ship traffic to Syria we called “Syrian Express”. And the reason, why it slows down in June-July is unclear. I think it is because of the sink of Liman in April.